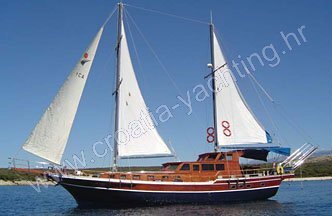 Typical ketch made by the masters of shipbuilding. The hull of the boat was made of high quality wood. Project of her submarine part guarantee the maximal hardness and stability during the navigation. 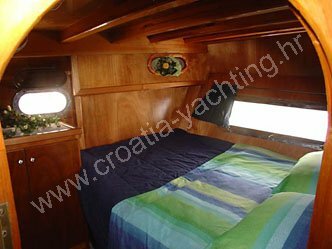 All interior coverings were made of the high quality mahogany and teak wood giving the warm and elegancy to the interior space.